King of vampishly good rock n’ roll Steve Steinman is back in Buxton in the lead-up to Halloween. He brings his latest instalment of the Vampires Rock saga – Ghost Train to the town’s Opera House on October 26. 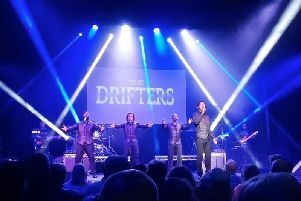 Featuring a full cast of superb singers, dancers and a formidable band, audiences will hear all their favourite hits and classic rock anthems including We Will Rock You, Bat Out of Hell, Sweet Child Of Mine and Total Eclipse of the Heart. The performance of Vampires Rock Ghost Train in Buxton on October 26 is part of an extensive tour which will keep the cast and crew on the road until February 2015.